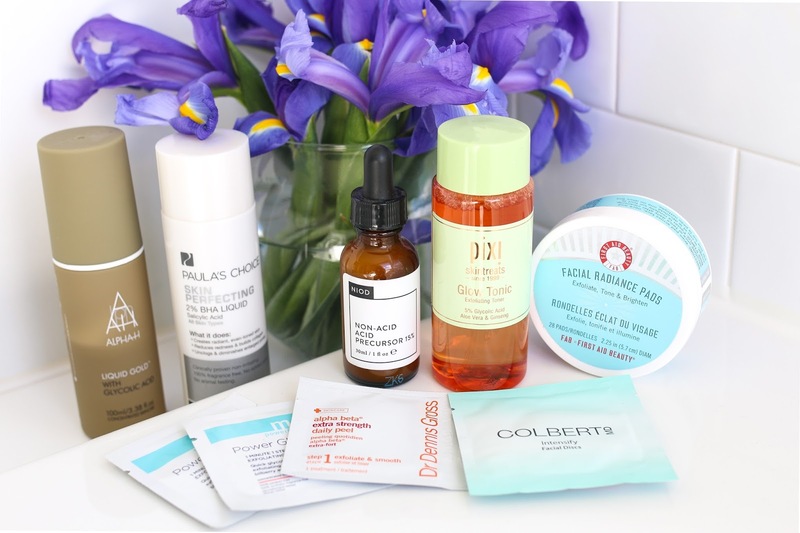 Today's video is all about the exfoliating toners and acids I love and use. Enjoy and don't forget to subscribe! Don't laugh, but even at my "advanced" age, I use Clearsil Superfruit Fruit pads. They are very gentle, very inexpensive, and a good in between from my Dr. Dennis Gross. I use Retin-A so I need to be careful of overdoing the stronger acids. Caroline Hirons mentioned them ages ago and I think I'm on my 3rd or 4th container of them. It's not very original, but recently I have discovered Biologique Recherche P 50 (they come in several strengths, currently I'm using the weakest, P50W) and I think it's great.